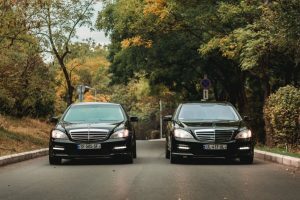 Luxury car rental Tbilisi, Tbilisi Airport: Rent Business Class Sedan, Luxury SUV, Convertible, Sportscar, First class Minivan with or without driver. Our fleet of luxury vehicles including: Mercedes S Class, Range Rover, Toyota Land Cruiser Prado, Porsche Boxster, Mercedes-Benz Viano. We offer Exclusive car rental service for business or vacation. Best rental cars in Georgia. 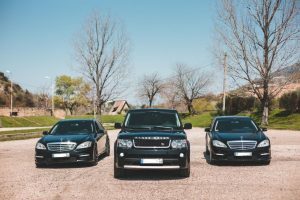 We offer Premium Chauffeur Service and Luxury Transfers in Georgia with english and russian speaking drivers. 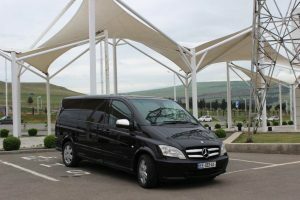 VIP & Business class transfer to/from Tbilisi International Airport: At your Service our Luxury Cars and Professional Drivers. 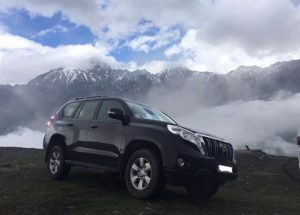 Hire a 4×4 Luxury car with driver for your travels in Georgia. 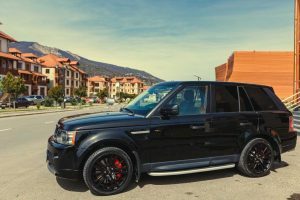 Our Collection of Luxury SUVs at your service: Range Rover Autobiography, Toyota Land Cruiser Prado, Hummer. 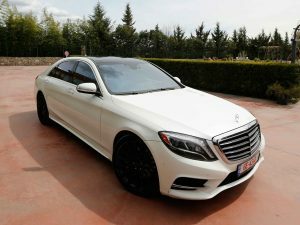 A Perfect vehicle for events or weddings, 2018 year model Mercedes-benz S class W222. Elegant and athletic the S550 is stocked with full power, impressive fuel-efficiency and innovative safety features. A classic of luxury sedans, Great for long or short road trips the S550 provides ultimate driving pleasures. Book your luxury car today, No hidden charges. Free cancellation.